The event’s special features are the “Rescue Row” presented by Rancho Coastal Humane Society and the Pet Health Expo presented by the City of Encinitas. Last year’s event drew over 5,000 attendees throughout the day. This 2018, we expect an estimated 8,000 to attend. At the event you will find the carefully curated “Maker’s Market Row” with quality handmade goods and opportunities to connect with local artisans. The “Rescue Row” presented by Rancho Coastal Humane Society and sponsored by John Stevenson Plumbing, will be the place to adopt a pet from numerous featured rescue groups. A record 21 dogs were adopted on site last year! Check out the City of Encinitas “Pet Health Expo” area to visit for on-site pet services including microchipping, licensing opportunities, rabies vaccination and pet care information provided by San Diego Humane Society. Does your dog like to strut its stuff? Our popular dog contest is back and its better then ever! We are thrilled to have Billy + Margot founder, Marie Jones, joining us as a guest judge and we’ll be extending the time allocated for each dog contest category to allow for more contestants to enter. Compete in a contest and you could take home a ribbon for 1st, 2nd or 3rd place! 1st place will take home a special goodie bag from Billy + Margot and 2nd and 3rd place will get a goodie bag filled with cool prizes from Nutrisource, Gaucho Goods, SoCal K9 and more! Registration is the day of the event from 10: 45am-11: 15am with a $5 cash per entry or $6 for credit/debit. Look out for a special appearance by City of Encinitas Mayor Catherine Blakespear who will be announcing contest winners. Live music by local performers will be featured on the main stage till 6pm following the dog contests. Enjoy refreshing blends and brews at The Lost Abbey Beer & CG Di Arie Wine Oasis situated next to the main stage. Here you can drink, watch and listen to the fascinating dog contests and wide variety of music that will keep playing two hours after the festival closes. A portion of the proceeds from drink sales will benefit Rancho Coastal Humane Society, so drink up for a good cause! Drink more! Waste Less! Make sure to reuse your Cardiff 101 Branded reusable cup or return to Cardiff 101 to be entered to win a sweet summer sun shade from NESO. You won't want to miss the energetic crowd pleasing performance from local North County alternative indie band, Aviator Stash. Did you catch School of Rock's Student Band that performed at Taste of Cardiff? They blew the crowd away so we are excited to have them perform as well! You won't want to miss local reggae band The Nightengayles who will be capping off the night.The food area will have tasty bites by local food truck purveyors. Mizu will be providing free hydration stations filled with fresh water from Palomar Water so make sure to bring your reusable bottle to stay cool and hydrated! Make sure to stop by the Cardiff 101 Opportunity Drawing booth to purchase tickets to win a cruise bike from Electra Bicycle Company, a dog DNA kit from Embark Vet, a PAWD pet crate from Chasing Monkey, cool gear from Hound Made, Nixon, Goldcoast Skateboard, Mizu, Vertra Suncare, Tigertail Dog Treats, Wolfgang Man & Beast, Ma Kush, Peter Grimm hats, Hero Disc USA, Kahoots, food and treats from Nutrisource, a Hyatt Poipu Water Bottle, Cross Construction Water Bottle, Titleist, Katherine Natural Cosmetics, Primal Kitchen, snowboard boots from Thirtytwo, tickets to KAABOO Del Mar, Belly Up Concert Tickets, Clubhouse passes Summer 2019 Del Mar Racetrack, San Diego Repertory, Natural History Museum, USS Midway, San Diego Ice Arena Passes, a year's worth of grill cheese sandwiches from Bread & Cheese Catering, and gift cards from racepacepups, Cardiff Beach Bar @ Tower 13, Sambazon, Sushi Lounge, VG Donuts, Miltons, Sushi Lounge, Eat Your Heart Out SD, Zumbar Coffee & Tea, Reiki for all Creatures, Urban Plates, Jimbo's Naturally, Cygnet Theater, Bradford Portraits, elivelife.com, Claire's on Cedros, Bier Garden, Hanson's Surfboards, a Legendary Locals of Encinitas Books, a Pet Friendly Backyard Consultation and more! All four legged friends are welcome at this dog friendly event but be aware that all dogs must be on leash (6 feet) at all times at the park, except within the Maggie Houlihan Memorial Dog Park area. We also ask that you be respectful of the park and clean up after pets. 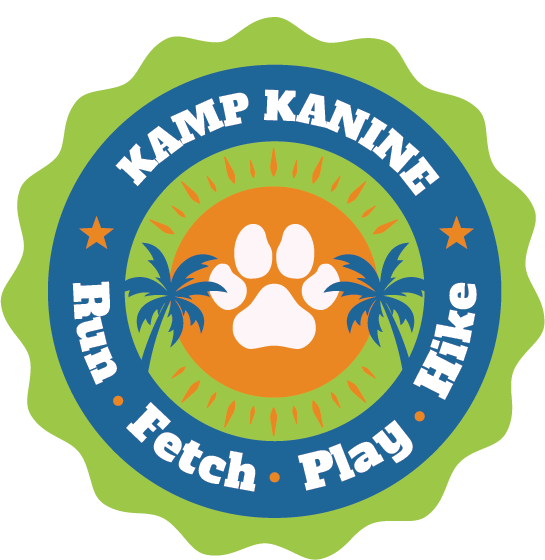 A portion of the event proceeds are donated to Rancho Coastal Humane Society whose focus is to rescue, shelter, and find homes for companion animals while promoting humane ideals through education and community outreach. 10:45 AM - 11:15 AM Dog Contest Registration Opens. *Limited entry available so come early to secure a spot! 2:30 PM Pet Health tips with VCA California Veterinary Specialists! Thank you to our 2018 Cardiff Dog Days of Summer Partners! Interested in joining us at Cardiff Dog Days of Summer as a vendor? We’re currently accepting applications for approval in the following categories. We’re excited to showcase handmade pet products and meticulous creations from the best local artisans. The Maker's Market Row will feature innovators creating in a vast array of mediums, such as ceramics, jewelry, perfumery, clothing design, woodworking, and fabric art. Local makers will receive the same discounted rate as Non Profit organizations.